Get Your Life! is a youth-led production company that creates collaborative video projects between middle school students, practicing artists, and institutions. Emerging from an extended relationship between artist Lee Heinemann (b. 1993, American) and the Better Waverly community art center 901 Arts, GYL! puts adult artists to work producing projects written, designed, directed, and performed by youth. This exhibition gathers works from across GYL! 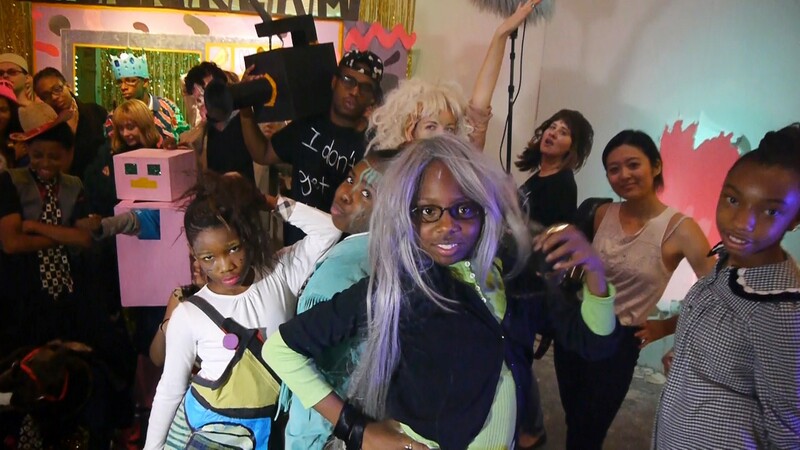 's practice, presenting video series, costumes, props, and documents created through the multi-year collaboration of a dedicated group of adult artists and young people. Get Your Life! (GYL!) is a youth-led production company that creates collaborative video projects between middle school students, practicing artists, and institutions. This exhibition gathers works from across GYL!’s practice, presenting video series, costumes, props, and documents.